Michael and Gayle Back are on the Speakers’ Bureau for Grandparents of Homeschoolers. They are the parents of six children and eight grandchildren. The Backs homeschooled for nearly 30 years and have helped home educate their grandchildren. They have spent many years working with homeschool organizations and encouraging hundreds of homeschool parents and grandparents. 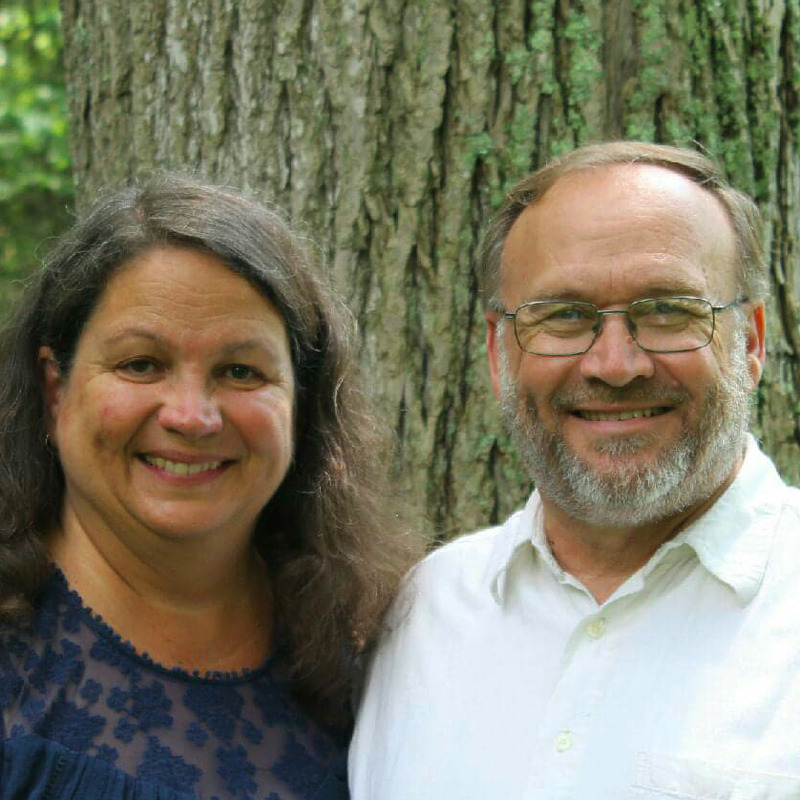 Together they presently serve as the Ohio State Directors for Grandparents of Homeschoolers. Michael has served the U.S. Air Force for 35 years, both enlisted and as a contractor. During that time he served many years as the former chairman of the board of the Christian Home Educators of Ohio (CHEO), including 20 years as a board member and support group leader, workshop speaker and men’s visionary leader. Michael has the gift of encouragement and loves encouraging grandparents. He was always a very involved homeschool dad and is enjoying doing the same with his grandchildren. Gayle has been a homemaker and lover of children all of her adult years. She has spent many years encouraging home educators and especially moms in their roles. She has been a midwife for 25 years and serves as a state ambassador for the Home School Foundation, the charitable arm of the Home School Legal Defense Association (HSLDA). Gayle is a creative, hands-on grandma who loves helping educate her grandchildren, whether in person or long distance. If you have custody of your grandchildren and are homeschooling, you often fall between the cracks. You don't feel comfortable with Millennials, and people your age often are doing things that people do during retirement - not raising children. Where is your place and how can you do all of this? You are not alone! We will give you ideas and encouragement on this great adventure. Your grandchildren live far away from you. How can you be involved? Come and hear many, many ideas that can be implemented from afar for grandparents who are eager to be a part of their grandchildren's homeschool adventure. There is much that can be done both academically and non-academically. Parents welcome, too! I'm The Grandparent - What Can I Do? Many parents would love for grandparents to be involved in their homeschool adventures. Many grandparents are interested in helping but haven't a clue where to start. We will give you a wealth of ideas that can help you be involved with their schooling and their lives in helpful, relationship-building ways. Parents welcome, too! Join with other grandparents in this relaxed session where you can share or glean ideas, resources, experiences and advice from one another. Bring your personal stories, successes, and learning experiences (or just listen to others.) Get your questions answered on everything from socialization, to special-needs children, to contests and scholarships, to teaching specific classes or skills, to digital device issues, navigating relationships and more. Whether you're new to homeschooling or a seasoned veteran, you'll find encouragement and confidence in seeing how all of us, as imperfect grandparents, are perfectly equipped by God to help educate and disciple those grandchildren whom we love so dearly.